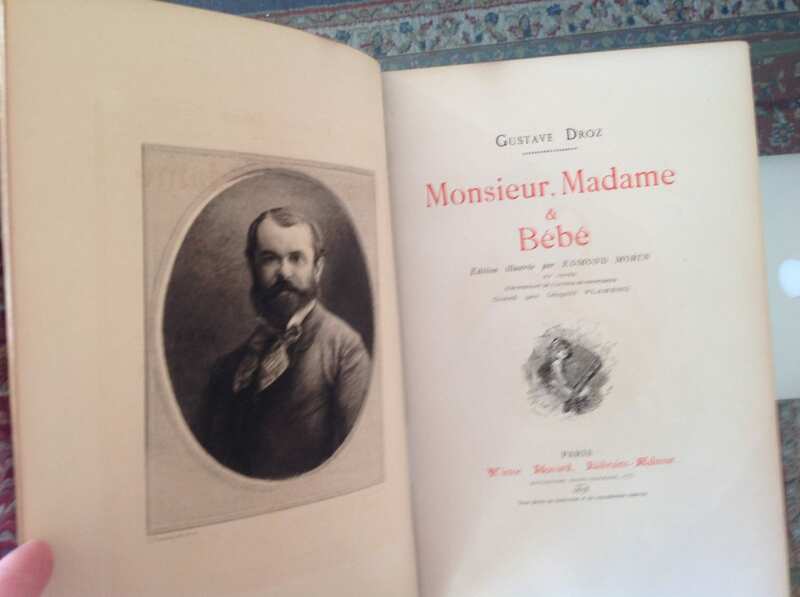 This large format 19th century copy of Monsieur, Madame, et Bebe is quarter bound in gilded red leather and marbled boards. 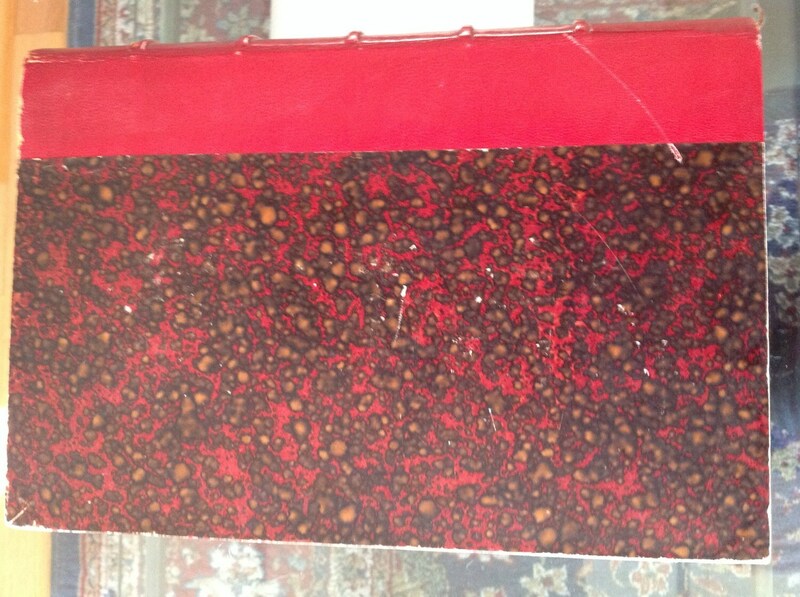 Endpapers also beautifully marbled. 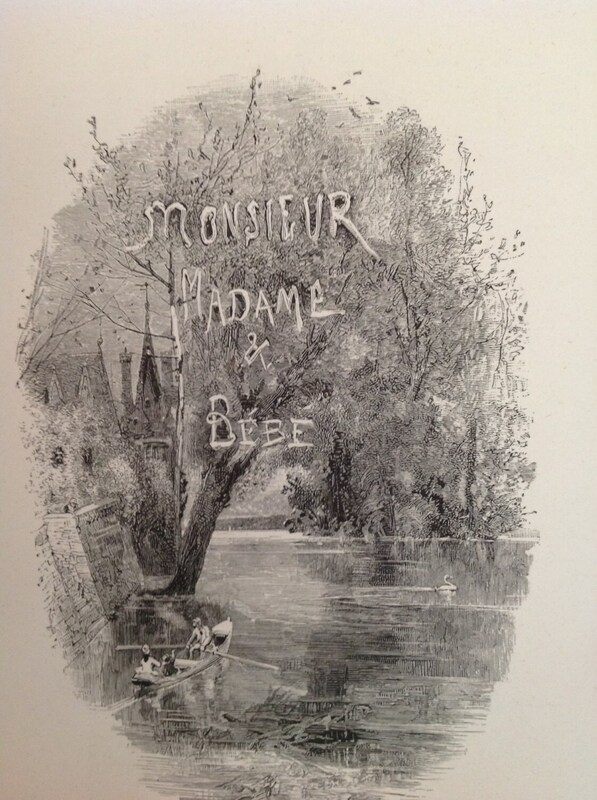 Written by Gustave Droz and published in Paris, France by Victor Havard and heavily illustrated by Leopold Fleming. 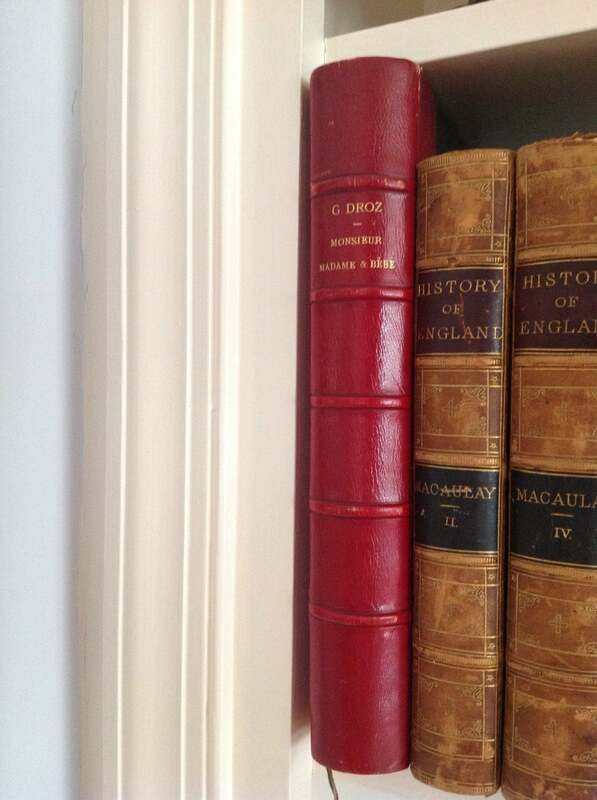 Elegant raised bands on the book and gilt title on the backstrap. 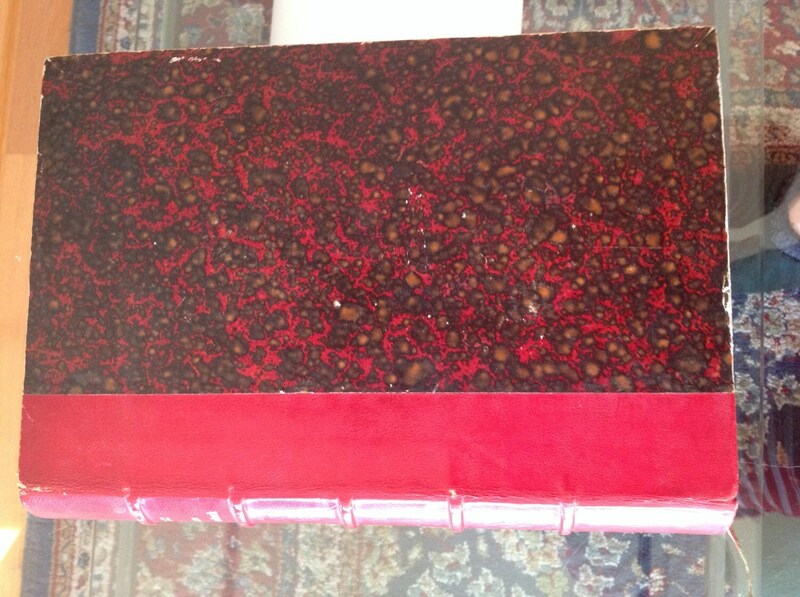 The leather of this binding is extremely supple (probably calf leather) and the pages are bright and tight as if new. I don't believe this book has been read. Some modest and one scratch rubs to leather at spine and spine edges. Bumps to corners and rubbing, especially to the board of cover. Light cracks at the hinge, but boards are firmly secured. This book has gilt to the top edge of the pages and a tattered silk ribbon place holder. What a book! 436 pages. Dimensions: 7.5" x 11".